Oil prices — more or less flat for 15 months — will stay in their current band through the end of the year and only start to bump up against $60 a barrel in 2019, per the Wall Street Journal, placing tremendous sustained and perhaps mortal pressure on oil companies and petro-state governments. 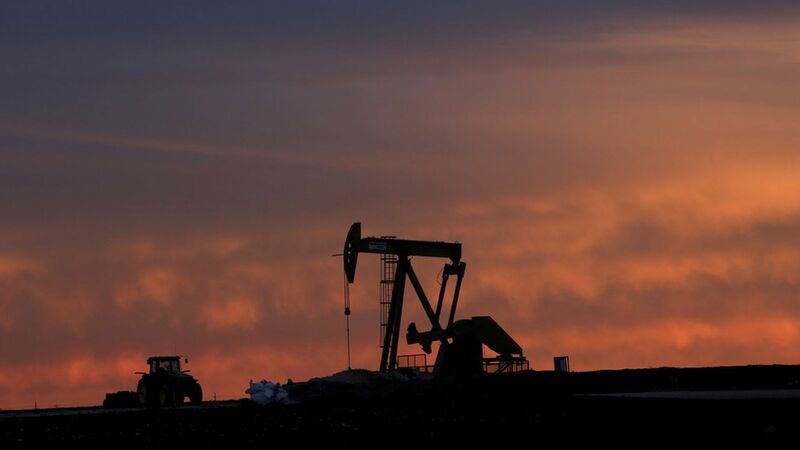 Jobs update: The pressure is also on workers: employment in U.S. oilfields fell slightly last month from June, continuing a year-long trend, the U.S. Bureau of Labor Statistics reported today. Employment fell by 700 month to month, and is down by about 1,600 over the year. According to a poll of 15 investment banks conducted by the newspaper, Brent crude — the internationally traded benchmark — will average $53 a barrel this year, and rise to $55 in 2018; for both years, that is $2 lower than they said a month ago. In 2019, Brent will average $59.60, they said. An American cap on prices: The main culprit for all of this: U.S. shale drillers, who are finding their oil cheaper and cheaper to produce, cutting costs and conducting only subdued rehiring of workers laid off in the hundreds of thousands over since 2015.So that every time oil prices go up, they produce more, which then pushes prices back down. Why it matters: Motorists can expect a long additional period of low gasoline and diesel prices. But the pressure will remain on oil companies and petro-states, which have already suffered through two and a half years of low prices that have ravaged balance sheets. Venezuela, for one, has appeared to be on the brink of economic collapse for months.